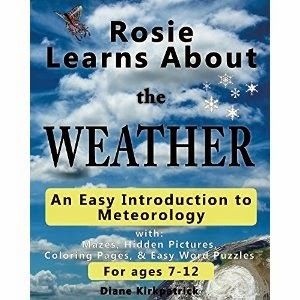 Diane Kirkpatrick's "Rose Learns About the Water" is a book that teaches children about meteorology topics with a storybook format. The book covers a wide range of topics, from the water cycle to fog to contrails. Diane Kirkpatrick, the author, does an excellent job of incorporating this information into approachable stories involving our protagonist, Rosie. Each topic is concise without leaving out info, so the child is sure to stay engaged yet also learn. There are also colorful images to accompany each topic. I'd recommend this to anyone who wants to read an educational yet fun book with their child.